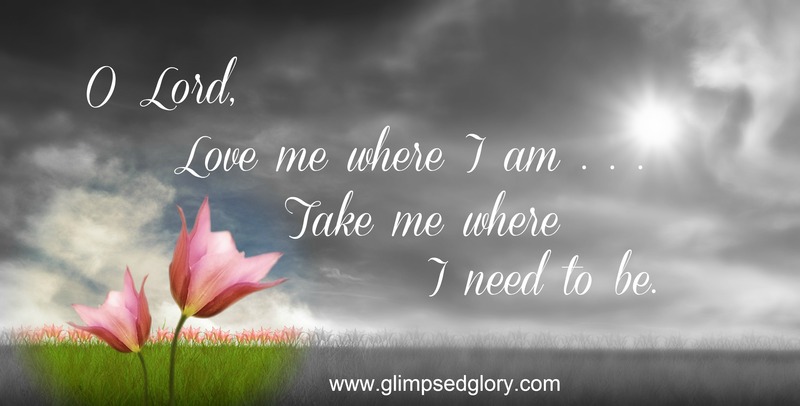 In the next 40 days (32 now because you have already accomplished eight), the weeks leading up to Easter, the posts on Glimpsed Glory will be different. I am reading through the New Testament during this time and I am hoping the Holy Spirit will lead me to a fresh revelation each and every day. I’m going into it with a prayerful heart and an expectant spirit but I will fully confess to you that my soul feels sluggish. 4 [My purpose is] that you may know the full truth and understand with certainty and security against error the accounts (histories) and doctrines of the faith of which you have been informed and in which you have been [g]orally instructed. 5 In the days when Herod was king of Judea there was a certain priest whose name was Zachariah, [h]of the daily service (the division) of Abia; and his wife was also a descendant of Aaron, and her name was Elizabeth. 6 And they both were righteous in the sight of God, walking blamelessly in all the commandments and requirements of the Lord. 7 But they had no child, for Elizabeth was barren; and both were [i]far advanced in years. 8 Now while on duty, serving as priest before God in the order of his division, 9 As was the custom of the priesthood, it fell to him by lot to enter [the [j]sanctuary of] the temple of the Lord and burn incense. 10 And all the throng of people were praying outside [in the court] at the hour of incense [burning]. 11 And there appeared to him an angel of the Lord, standing at the right side of the altar of incense. 12 And when Zachariah saw him, he was troubled, and fear took possession of him. 13 But the angel said to him, Do not be afraid, Zachariah, because your petition [k]was heard, and your wife Elizabeth will bear you a son, and you must call his name John [God is favorable]. 14 And you shall have joy and exultant delight, and many will rejoice over his birth, 15 For he will be great and distinguished in the sight of the Lord. And he must drink no wine nor strong drink, and he will be filled with and controlled by the Holy Spirit even [l]in and from his mother’s womb. 16 And he will turn back and cause to return many of the sons of Israel to the Lord their God, 17 And he will [himself] go before Him in the spirit and power of Elijah, to turn back the hearts of the fathers to the children, and the disobedient and incredulous and unpersuadable to the wisdom of the upright [which is [m]the knowledge and holy love of the will of God]—in order to make ready for the Lord a people [perfectly] prepared [in spirit, [n]adjusted and disposed and placed in the right moral state]. 18 And Zachariah said to the angel, By what shall I know and be sure of this? For I am an old man, and my wife is well advanced in years. 19 And the angel replied to him, I am Gabriel. I stand in the [very] presence of God, and I have been sent to talk to you and to bring you this good news. 20 Now behold, you will be and [o]will continue to be silent and not able to speak till the day when these things take place, because you have not believed what I told you; but my words are [p]of a kind which will be fulfilled in the appointed and proper time. 21 Now the people kept waiting for Zachariah, and they wondered at his delaying [so long] in the [q]sanctuary. 22 But when he did come out, he was unable to speak to them; and they [[r]clearly] perceived that he had seen a vision in the [s]sanctuary; and he kept making signs to them, still he remained dumb. 23 And when his time of performing priestly functions was ended, he returned to his [own] house. 24 Now after this his wife Elizabeth became pregnant, and for five months she secluded herself [t]entirely, saying, [I have hid myself] 25 [u]Because thus the Lord has dealt with me in the days when He deigned to look on me to take away my reproach among men. 26 Now in the sixth month [after that], the angel Gabriel was sent from God to a town of Galilee named Nazareth, 27 To a girl never having been married and a [v]virgin engaged to be married to a man whose name was Joseph, a descendant of the house of David; and the virgin’s name was Mary. 28 And he came to her and said, Hail, O favored one [[w]endued with grace]! The Lord is with you! [x]Blessed (favored of God) are you before all other women! 29 But when she saw him, she was greatly troubled and disturbed and confused at what he said and kept revolving in her mind what such a greeting might mean. 30 And the angel said to her, Do not be afraid, Mary, for you have found grace ([y]free, spontaneous, absolute favor and loving-kindness) with God. 31 And listen! You will become pregnant and will give birth to a Son, and you shall call His name Jesus. 32 He will be great (eminent) and will be called the Son of the Most High; and the Lord God will give to Him the throne of His forefather David, 33 And He will reign over the house of Jacob throughout the ages; and of His reign there will be no end. 34 And Mary said to the angel, How can this be, since I have no [intimacy with any man as a] husband? 35 Then the angel said to her, The Holy Spirit will come upon you, and the power of the Most High will overshadow you [like a shining cloud]; and so the holy (pure, sinless) Thing (Offspring) which shall be born of you will be called the Son of God. 36 And listen! Your relative Elizabeth in her old age has also conceived a son, and this is now the sixth month with her who was called barren. 37 For with God nothing is ever impossible and no word from God shall be without power or impossible of fulfillment. 38 Then Mary said, Behold, I am the handmaiden of the Lord; let it be done to me according to what you have said. And the angel left her. 39 And at that time Mary arose and went with haste into the hill country to a town of Judah, 40 And she went to the house of Zachariah and, entering it, saluted Elizabeth. 41 And it occurred that when Elizabeth heard Mary’s greeting, the baby leaped in her womb, and Elizabeth was filled with and controlled by the Holy Spirit. 42 And she cried out with a loud cry, and then exclaimed, Blessed (favored of God) above all other women are you! And blessed (favored of God) is the Fruit of your womb! 43 And how [have I deserved that this honor should] be granted to me, that the mother of my Lord should come to me? 44 For behold, the instant the sound of your salutation reached my ears, the baby in my womb leaped for joy. 45 And blessed (happy, [z]to be envied) is she who believed that there would be a fulfillment of the things that were spoken to her from the Lord. 46 And Mary said, My soul magnifies and extols the Lord, 47 And my spirit rejoices in God my Savior, 48 For He has looked upon the low station and humiliation of His handmaiden. For behold, from now on all generations [of all ages] will call me blessed and declare me happy and [aa]to be envied! 49 For He Who is almighty has done great things for me—and holy is His name [to be venerated in His purity, majesty and glory]! 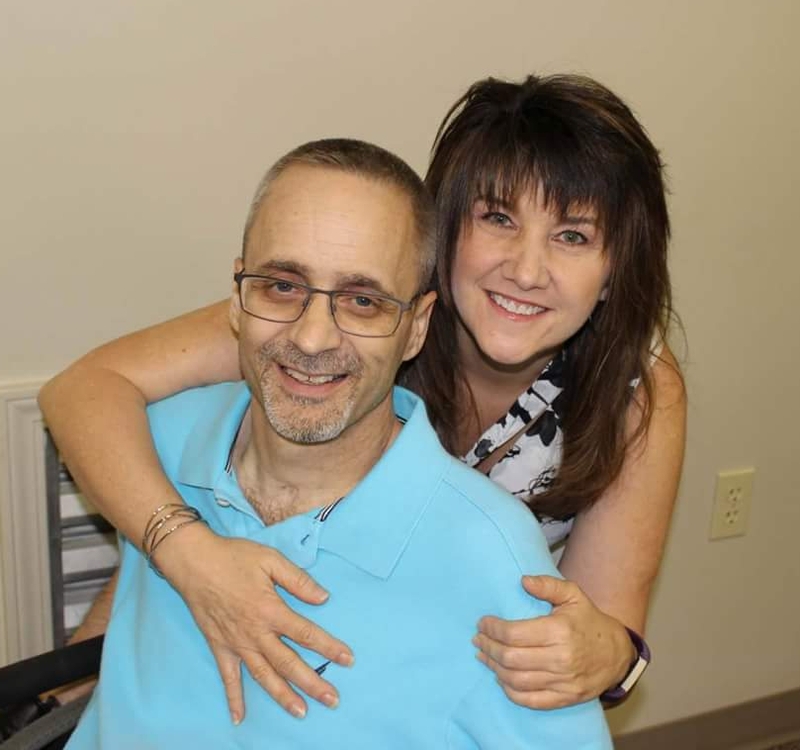 50 And His mercy (His compassion and kindness toward the miserable and afflicted) is on those who fear Him with godly reverence, from generation to generation and age to age. 51 He has shown strength and [ab]made might with His arm; He has scattered the proud and haughty in and by the imagination and purpose and designs of their hearts. 52 He has put down the mighty from their thrones and exalted those of low degree. 53 He has filled and satisfied the hungry with good things, and the rich He has sent away empty-handed [without a gift]. 54 He has laid hold on His servant Israel [to help him, to espouse his cause], in remembrance of His mercy, 55 Even as He promised to our forefathers, to Abraham and to his descendants forever. 56 And Mary remained with her [Elizabeth] for about three months and [then] returned to her [own] home. 57 Now the time that Elizabeth should be delivered came, and she gave birth to a son. 58 And her neighbors and relatives heard that the Lord had shown great mercy on her, and they rejoiced with her. 59 And it occurred that on the eighth day, when they came to circumcise the child, they were intending to call him Zachariah after his father, 60 But his mother answered, Not so! But he shall be called John. 61 And they said to her, None of your relatives is called by that name. 62 And they inquired with signs to his father [as to] what he wanted to have him called. 63 Then Zachariah asked for a writing tablet and wrote, His name is John. And they were all astonished. 64 And at once his mouth was opened and his tongue loosed, and he began to speak, blessing and praising and thanking God. 65 And awe and reverential fear came on all their neighbors; and all these things were discussed throughout the hill country of Judea. 66 And all who heard them laid them up in their hearts, saying, Whatever will this little boy be then? For the hand of the Lord was [[ac]so evidently] with him [protecting and aiding him]. 67 Now Zachariah his father was filled with and controlled by the Holy Spirit and prophesied, saying, 68 Blessed (praised and extolled and thanked) be the Lord, the God of Israel, because He has come and brought deliverance and redemption to His people! 69 And He has raised up a Horn of salvation [a mighty and valiant Helper, the Author of salvation] for us in the house of David His servant— 70 This is as He promised by the mouth of His holy prophets from the most ancient times [in the memory of man]—71 That we should have deliverance and be saved from our enemies and from the hand of all who detest and pursue us with hatred; 72 To make true and show the mercy and compassion and kindness [promised] to our forefathers and to remember and carry out His holy covenant [to bless, which is [ad]all the more sacred because it is made by God Himself], 73 That covenant He sealed by oath to our forefather Abraham: 74 To grant us that we, being delivered from the hand of our foes, might serve Him fearlessly 75 In holiness (divine consecration) and righteousness [in accordance with the everlasting principles of right] within His presence all the days of our lives. 76 And you, little one, shall be called a prophet of the Most High; for you shall go on before the face of the Lord to make ready His ways, 77 To bring and give the knowledge of salvation to His people in the forgiveness and remission of their sins. 78 Because of and through the heart of tender mercy and loving-kindness of our God, a Light from on high will dawn upon us and visit [us] 79 To shine upon and give light to those who sit in darkness and in the shadow of death, to direct and guide our feet in a straight line into the way of peace. 80 And the little boy grew and became strong in spirit; and he was in the deserts (wilderness) until the day of his appearing to Israel [the commencement of his public ministry]. In those days it occurred that a decree went out from Caesar Augustus that the whole [a]Roman empire should be registered. 2 This was the first enrollment, and it was made when Quirinius was governor of Syria. 3 And all the people were going to be registered, each to his own city or town. 4 And Joseph also went up from Galilee from the town of Nazareth to Judea, to the town of David, which is called Bethlehem, because he was of the house and family of David, 5 To be enrolled with Mary, his espoused ([b]married) wife, who was about to become a mother. 6 And while they were there, the time came for her delivery, 7 And she gave birth to her Son, her Firstborn; and she wrapped Him in swaddling clothes and laid Him in a manger, because there was no room or place for them in the inn. 8 And in that vicinity there were shepherds living [out under the open sky] in the field, watching [in shifts] over their flock by night. 9 And behold, an angel of the Lord stood by them, and the glory of the Lord flashed and shone all about them, and they were terribly frightened. 10 But the angel said to them, Do not be afraid; for behold, I bring you good news of a great joy which will come to all the people. 11 For to you is born this day in the town of David a Savior, Who is Christ (the Messiah) the Lord! 12 And this will be a sign for you [by which you will recognize Him]: you will find [[c]after searching] a Baby wrapped in swaddling clothes and lying in a manger. 13 Then suddenly there appeared with the angel an army of the troops of heaven ([d]a heavenly knighthood), praising God and saying, 14 Glory to God in the highest [heaven], and on earth peace among men with whom He is well pleased [[e]men of goodwill, of His favor]. 15 When the angels went away from them into heaven, the shepherds said one to another, Let us go over to Bethlehem and see this thing ([f]saying) that has come to pass, which the Lord has made known to us. 16 So they went with haste and [[g]by searching] found Mary and Joseph, and the Baby lying in a manger. 17 And when they saw it, they made known what had been told them concerning this Child, 18 And all who heard it were astounded and marveled at what the shepherds told them. 20 And the shepherds returned, glorifying and praising God for all the things they had heard and seen, just as it had been told them. 21 And at the end of eight days, when [the Baby] was to be circumcised, He was called Jesus, the name given by the angel before He was conceived in the womb. 22 And when the time for their purification [the mother’s purification and the Baby’s dedication] came according to the Law of Moses, they brought Him up to Jerusalem to present Him to the Lord— 23 As it is written in the Law of the Lord, Every [firstborn] male that opens the womb shall be set apart and dedicated and called holy to the Lord— 24 And [they came also] to offer a sacrifice according to what is said in the Law of the Lord: a pair of turtledoves or two young pigeons. 25 Now there was a man in Jerusalem whose name was Simeon, and this man was righteous and devout [cautiously and carefully observing the divine Law], and looking for the Consolation of Israel; and the Holy Spirit was upon him. 26 And it had been divinely revealed (communicated) to him by the Holy Spirit that he would not see death before he had seen the Lord’s Christ (the Messiah, the Anointed One). 27 And prompted by the [Holy] Spirit, he came into the temple [[j]enclosure]; and when the parents brought in the little child Jesus to do for Him what was customary according to the Law, 28 [Simeon] took Him up in his arms and praised and thanked God and said, 29 And now, Lord, You are releasing Your servant to depart (leave this world) in peace, according to Your word. 30 For with my [own] eyes I have seen Your Salvation, 31 Which You have ordained and prepared before (in the presence of) all peoples, 32 A Light for [k]revelation to the Gentiles [to disclose what was before unknown] and [to bring] praise and honor and glory to Your people Israel. 33 And His [legal] father and [His] mother were marveling at what was said about Him. 34 And Simeon blessed them and said to Mary His mother, Behold, this Child is appointed and destined for the fall and rising of many in Israel, and for a sign that is spoken against—35 And a sword will pierce through your own soul also—that the secret thoughts and purposes of many hearts may be brought out and disclosed. 36 And there was also a prophetess, Anna, the daughter of Phanuel, of the tribe of Asher. She was very old, having lived with her husband seven years from her maidenhood, 37 And as a widow even for eighty-four years. She did not go out from the temple [l]enclosure, but was worshiping night and day with fasting and prayer. 38 And she too came up at that same hour, and she returned thanks to God and talked of [Jesus] to all who were looking for the redemption (deliverance) of Jerusalem. 39 And when they had done everything according to the Law of the Lord, they went back into Galilee to their own town, Nazareth. 40 And the Child grew and became strong in spirit, filled with wisdom; and the grace (favor and spiritual blessing) of God was upon Him. 41 Now His parents went to Jerusalem every year to the Passover Feast. 42 And when He was twelve years [old], they went up, as was their custom. 43 And when the Feast was ended, as they were returning, the boy Jesus remained behind in Jerusalem. Now His parents did not know this, 44 But, supposing Him to be in the caravan, they traveled on a day’s journey; and [then] they sought Him [diligently, looking up and down for Him] among their kinsfolk and acquaintances. 45 And when they failed to find Him, they went back to Jerusalem, looking for Him [up and down] all the way. 46 After three days they found Him [came upon Him] in the [m][court of the] temple, sitting among the teachers, listening to them and asking them questions. 47 And all who heard Him were astonished and overwhelmed with bewildered wonder at His intelligence and understanding and His replies. 48 And when they [Joseph and Mary] saw Him, they were amazed; and His mother said to Him, Child, why have You treated us like this? Here Your father and I have been anxiously looking for You [distressed and tormented]. 49 And He said to them, How is it that you had to look for Me? Did you not see and know that it is necessary [as a duty] for Me [n]to be in My Father’s house and [occupied] about My Father’s business? 50 But they did not comprehend what He was saying to them. 51 And He went down with them and came to Nazareth and was [habitually] obedient to them; and his mother kept and closely and persistently guarded all these things in her heart. 52 And Jesus increased in wisdom (in broad and full understanding) and in stature and years, and in favor with God and man. 2 In the high priesthood of Annas and Caiaphas, the Word of God [[a]concerning the attainment through Christ of salvation in the kingdom of God] came to John son of Zachariah in the wilderness (desert). 3 And he went into all the country round about the Jordan, preaching a baptism of repentance ([b]of hearty amending of their ways, with abhorrence of past wrongdoing) unto the forgiveness of sin. 4 As it is written in the book of the words of Isaiah the prophet, The voice of one crying in the wilderness [shouting in the desert]: Prepare the way of the Lord, make His beaten paths straight. 5 Every valley and ravine shall be filled up, and every mountain and hill shall be leveled; and the crooked places shall be made straight, and the rough roads shall be made smooth; 6 And all mankind shall see (behold and [c]understand and at last acknowledge) the salvation of God (the deliverance from eternal death [d]decreed by God). 7 So he said to the crowds who came out to be baptized by him, You offspring of vipers! Who [e]secretly warned you to flee from the coming wrath? 8 Bear fruits that are deserving and consistent with [your] repentance [that is, [f]conduct worthy of a heart changed, a heart abhorring sin]. And do not begin to say to yourselves, We have Abraham as our father; for I tell you that God is able from these stones to raise up descendants for Abraham. 9 Even now the ax is laid to the root of the trees, so that every tree that does not bear good fruit is cut down and cast into the fire. 10 And the multitudes asked him, Then what shall we do? 11 And he replied to them, He who has two tunics (undergarments), let him share with him who has none; and he who has food, let him do it the same way. 12 Even tax collectors came to be baptized, and they said to him, Teacher, what shall we do? 13 And he said to them, Exact and collect no more than the fixed amount appointed you. 14 Those serving as soldiers also asked him, And we, what shall we do? And he replied to them, Never demand or enforce [g]by terrifying people or by accusing wrongfully, and always be satisfied with your rations (supplies) and with your allowance (wages). 15 As the people were in suspense and waiting expectantly, and everybody reasoned and questioned in their hearts concerning John, whether he perhaps might be the Christ (the Messiah, the Anointed One). 16 John answered them all by saying, I baptize you with water; but He Who is mightier than I is coming, the strap of Whose sandals I am not fit to unfasten. He will baptize you with the Holy Spirit and with fire. 17 His winnowing shovel (fork) is in His hand to thoroughly clear and cleanse His [threshing] floor and to gather the wheat and store it in His granary, but the chaff He will burn with fire that cannot be extinguished. 18 So with many other [various] appeals and admonitions he preached the good news (the Gospel) to the people. 19 But Herod the tetrarch, who had been [repeatedly] told about his fault and reproved with rebuke [h]producing conviction by [John] for [having] Herodias, his brother’s wife, and for all the wicked things that Herod had done, 20 Added this to them all—that he shut up John in prison. 21 Now when all the people were baptized, and when Jesus also had been baptized, and [while He was still] praying, the [visible] heaven was opened 22 And the Holy Spirit descended upon Him in bodily form like a dove, and a voice came from heaven, saying, You are My Son, My Beloved! In You I am well pleased and find delight! 23 Jesus Himself, when He began [His ministry], was about thirty years of age, being the Son, as was supposed, of Joseph, the son of Heli, 24 The son of Matthat, the son of Levi, the son of Melchi, the son of Jannai, the son of Joseph, 25 The son of Mattathias, the son of Amos, the son of Nahum, the son of Esli, the son of Naggai, 26 The son of Maath, the son of Mattathias, the son of Semein, the son of Josech, the son of Joda, 27 The son of Joanan, the son of Rhesa, the son of Zerubbabel, the son of Shealtiel, the son of Neri, 28 The son of Melchi, the son of Addi, the son of Cosam, the son of Elmadam, the son of Er, 29 The son of Jesus, the son of Eliezer, the son of Jorim, the son of Matthat, the son of Levi, 30 The son of Simeon, the son of Judah, the son of Joseph, the son of Jonam, the son of Eliakim, 31 The son of Melea, the son of Menna, the son of Mattatha, the son of Nathan, the son of David, 32 The son of Jesse, the son of Obed, the son of Boaz, the son of Salmon (Sala), the son of Nahshon, 33 The son of Aminadab, the son of Admin, the son of Arni, the son of Hezron, the son of Perez, the son of Judah, 34 The son of Jacob, the son of Isaac, the son of Abraham, the son of Terah, the son of Nahor, 35 The son of Serug, the son of Reu, the son of Peleg, the son of Eber, the son of Shelah, 36 The son of Cainan, the son of Arphaxad, the son of Shem, the son of Noah, the son of Lamech, 37 The son of Methuselah, the son of Enoch, the son of Jared, the son of Mahalaleel, the son of Cainan, 38 The son of Enos, the son of Seth, the son of Adam, the son of God. Then Jesus, full of and controlled by the Holy Spirit, returned from the Jordan and was led in [by] the [Holy] Spirit 2 For (during) forty days in the wilderness (desert), where He was tempted ([a]tried, tested exceedingly) by the devil. And He ate nothing during those days, and when they were completed, He was hungry. 3 Then the devil said to Him, If You are the Son of God, order this stone to turn into a loaf [of bread]. 4 And Jesus replied to him, It is written, Man shall not live and be sustained by (on) bread alone [b]but by every word and expression of God. 5 Then the devil took Him up to a high mountain and showed Him all the kingdoms of the habitable world in a moment of time [[c]in the twinkling of an eye]. 6 And he said to Him, To You I will give all this power and authority and their glory (all their magnificence, excellence, preeminence, dignity, and grace), for it has been turned over to me, and I give it to whomever I will. 7 Therefore if You will do homage to and worship me [[d]just once], it shall all be Yours. 8 And Jesus replied to him, [e]Get behind Me, Satan! It is written, You shall do homage to and worship the Lord your God, and Him only shall you serve. 9 Then he took Him to Jerusalem and set Him on [f]a gable of the temple, and said to Him, If You are the Son of God, cast Yourself down from here; 10 For it is written, He will give His angels charge over you to guard and watch over you closely and carefully; 11 And on their hands they will bear you up, lest you strike your foot against a stone. 12 And Jesus replied to him, [The Scripture] says, You shall not tempt (try, [g]test exceedingly) the Lord your God. 13 And when the devil had ended every [the complete cycle of] temptation, he [temporarily] left Him [that is, [h]stood off from Him] until another more opportune and favorable time. 14 Then Jesus went back full of and under the power of the [Holy] Spirit into Galilee, and the fame of Him spread through the whole region round about. 15 And He Himself conducted [[i]a course of] teaching in their synagogues, being [j]recognized and honored and praised by all. 16 So He came to Nazareth, [[k]that Nazareth] where He had been brought up, and He entered the synagogue, as was His custom on the Sabbath day. And He stood up to read. 17 And there was handed to Him [the roll of] the book of the prophet Isaiah. He opened (unrolled) the book and found the place where it was written, 18 The Spirit of the Lord [is] upon Me, because He has anointed Me [the Anointed One, the Messiah] to preach the good news (the Gospel) to the poor; He has sent Me to announce release to the captives and recovery of sight to the blind, to send forth as delivered those who are oppressed [who are downtrodden, bruised, crushed, and broken down by calamity], 19 To proclaim the accepted and acceptable year of the Lord [the day [l]when salvation and the free favors of God profusely abound]. 20 Then He rolled up the book and gave it back to the attendant and sat down; and the eyes of all in the synagogue were gazing [attentively] at Him. 21 And He began to speak to them: Today this Scripture has been fulfilled [m]while you are present and hearing. 22 And all spoke well of Him and marveled at the words of grace that came forth from His mouth; and they said, Is not this Joseph’s [n]Son? 23 So He said to them, You will doubtless quote to Me this proverb: Physician, heal Yourself! What we have learned by hearsay that You did in Capernaum, do here also in Your [own] town. 24 Then He said, Solemnly I say to you, no prophet is acceptable and welcome in his [own] town (country). 25 But in truth I tell you, there were many widows in Israel in the days of Elijah, when the heavens were closed up for three years and six months, so that there came a great famine over all the land; 26 And yet Elijah was not sent to a single one of them, but only to Zarephath in the country of Sidon, to a woman who was a widow. 27 And there were many lepers in Israel in the time of Elisha the prophet, and yet not one of them was cleansed [by being healed]—but only Naaman the Syrian. 28 When they heard these things, all the people in the synagogue were filled with rage. 29 And rising up, they pushed and drove Him out of the town, and [laying hold of Him] they led Him to the [projecting] upper part of the hill on which their town was built, that they might hurl Him headlong down [over the cliff]. 30 But passing through their midst, He went on His way. 31 And He descended to Capernaum, a town of Galilee, and there He continued to teach the people on the Sabbath days. 32 And they were amazed at His teaching, for His word was with authority and ability and weight and power. 33 Now in the synagogue there was a man who was possessed by the foul spirit of a demon; and he cried out with a loud (deep, terrible) cry, 34 Ah, [o]let us alone! What have You to do with us [What have [p]we in common], Jesus of Nazareth? Have You come to destroy us? I know Who You are—the Holy One of God! 35 But Jesus rebuked him, saying, Be silent (muzzled, gagged), and come out of him! And when the demon had thrown the man down in their midst, he came out of him without injuring him in any [q]possible way. 36 And they were all amazed and said to one another, What kind of talk is this? For with authority and power He commands the foul spirits and they come out! 37 And a rumor about Him spread into every place in the surrounding country. 38 Then He arose and left the synagogue and went into Simon’s (Peter’s) house. Now Simon’s mother-in-law was suffering in the grip of a burning fever, and they pleaded with Him for her. 39 And standing over her, He rebuked the fever, and it left her; and immediately she got up and began waiting on them. 40 Now at the setting of the sun [indicating the end of the Sabbath], all those who had any [who were] sick with various diseases brought them to Him, and He laid His hands upon every one of them and cured them. 41 And demons even came out of many people, screaming and crying out, You are the Son of God! But He rebuked them and would not permit them to speak, because they knew that He was the Christ (the Messiah). 42 And when daybreak came, He left [Peter’s house] and went into an isolated [desert] place. And the people looked for Him until they came up to Him and tried to prevent Him from leaving them. 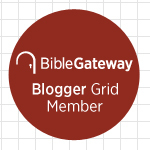 God has so bombarded me with His great and unsearchable riches that a blog will not contain it all! He has taken me on quite the ride with John the Baptist and His Divine Cousin. . . and I am certain He has not finished with it yet. For now, I will share with you that I believe that John, whose lineage is clearly the Levitical priesthood, is the personification of the Levitical Law preparing the way for the Great High Priest and the New Covenant. The things God unveiled are nothing short of astounding and I said to my Nehemiah Man this morning, I am sure that people smarter than me have long known these wonderful truths but I am so happy God gives me the thrill of taking my hand in His and leading me there with no one but Him. So while the many things God has set my heart and soul pondering have not come to enough fruition to share with clarity, there is one concept that I would like to encourage you with from the reading. 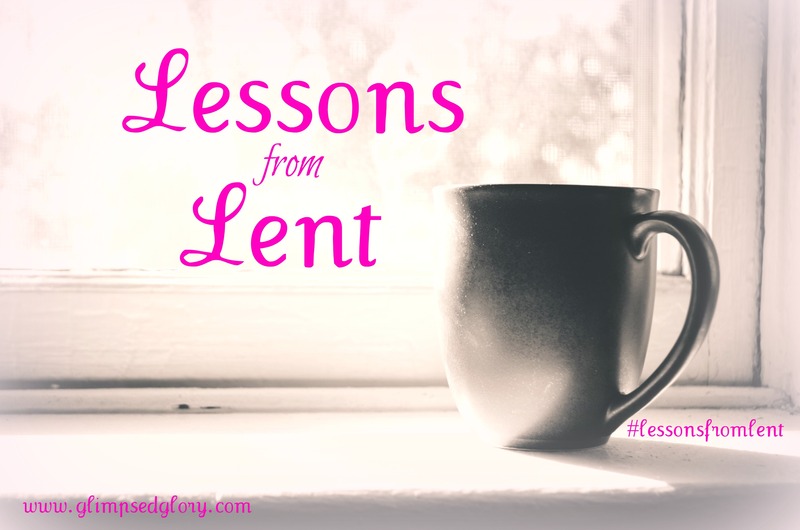 Before I do, I’d like to remind you why I began “Lessons from Lent” . . . to be so blunt, I was feeling desolate as if Jesus had forgotten me. I declared to you and to the heavenlies that I was not going to give into the despair but that I would fight the good fight of faith and trust that God had brought me to such an empty place so that He could fill me afresh. Well Sister, that’s exactly what He has done. And as I read through the passages this morning with my heart quickened to the similar situations of John the Baptist and Jesus, my eyes fell upon where they were before they began their public ministry . . . the desert. As I rolled that over in my head, the Israelites time of wandering before they entered the Promised Land crept into my mind—where had they wandered? . . .the desert. So, we have the Israelites led into the desert to “be humbled, to be proved, and to be tested” before God brought them to the Promised Land. Maybe there was some Egyptian thinking they needed to let go. Maybe there was some slave mentality that needed to be routed out. Maybe they needed to wander a while collecting the manna and the quail to believe the reality of God providing for their every need. I don’t know the specific lessons God had for them but I know that He loved them enough to be certain they did. Then we see John the Baptist, the one Isaiah foretold, the one who would lay down the path for the Messiah. He lived in the desert until “the word of God came to John, son of Zechariah” and called him forth so the descendant of Aaron, the priest, could make way for the offspring of David, the king. I’m not sure how God prepared John to be so bold and carry out the good works set apart in advance for him to do but we know for certain that God supplied everything he needed to emerge from the desert fully equipped. And then we find Jesus, in the desert, full of the Holy Spirit battling evil. Defeating every temptation the Tempter laid before Him and emerging as the Victor. Triumphing over the enemy and declaring with an exclamation point that His faith would not be shaken by His circumstance nor would He doubt the Lord His God to deliver Him. Don’t read those descriptions too quickly. Let the necessity of the time in the desert fall on you. Let the blessing of testing, preparation, and triumph wash over you. The desert preceded the Promised Land. The desert was the perfect background for preparation and provision. And the desert hosted triumph in the battle. Here’s my thought on this . . . God brings His people through the wandering and into the Promised Land. He sends us forth from the desert equipped for the good work we have to do. And if we will fight the good fight, I fully believe that in the Name of Jesus we will emerge in triumph. So while we may find ourselves slogging through the sands of the desert for a season Beloved . . . Be of strong heart, He has not forgotten us! Do not give up! Be very brave and very courageous because on the other side of the sand lies a beautiful thing. Thank you so very much! God is so good — It astounds me that He desires to show Himself to us 🙂 Blessings to you! Beautiful. 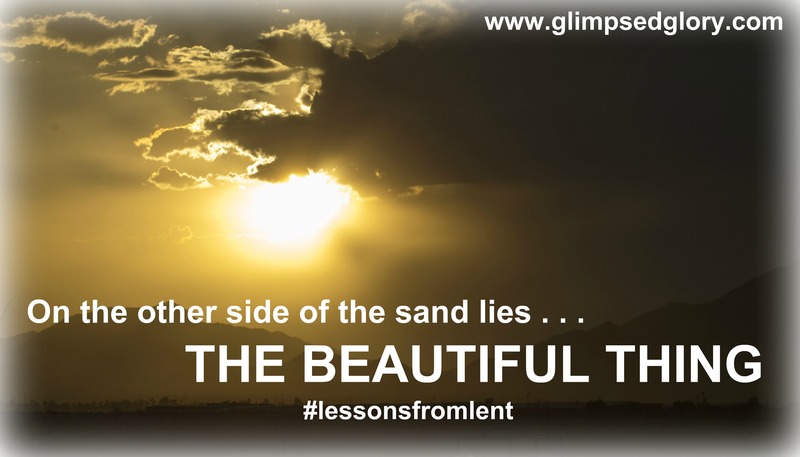 Thank you for your Lessons from Lent!